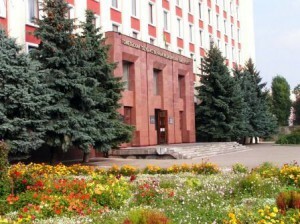 Gomel state medical university started its medical faculty in 1990. The main purpose to open this medical faculty was to facilitate the two districts Gomel and Mogilev due too the incident of Chernobal and highly talented and professional staff was appointed very first time in these regions at the Gomel medical university. In 2000 the medical faculty for the foreign students was founded at Gomel medical university. 1578 Doctors graduated from the university during the period of 2000-2006 among which 119 were foreigners. 3857 Doctors graduated in 2007-2015 from Gomel medical university and among those 296 were foreigners. The staff consists of 300 highly professional professors and lecturers. General medicine,Preparatory faculty,Clinical residency and Postgraduation. Highly equipped laboratory and modern research centers are available at the university. There are 18 big hospitals are connected with the Gomel medical university for the training of medical students. More than 3000 international students are studying at Gomel medical university. More than 70,000 highly scientific literature is available for students at electronic library and the literature is available in foreign languages also.